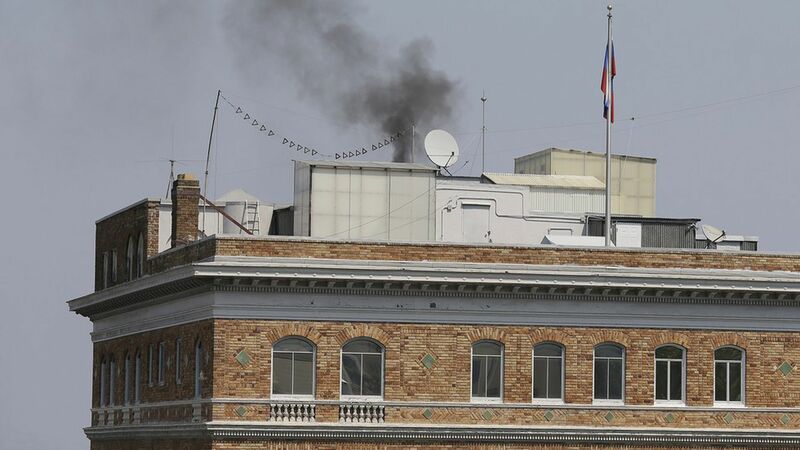 Black smoke was seen coming from the chimney of the Russian consulate in San Francisco just one day after the Trump administration ordered its closure, per the AP. And now the weather: It's 95 degrees today in usually temperate San Francisco. Why it matters: Russian officials wouldn't allow firefighters into the building, and a spokesperson for the San Francisco Fire Department told the AP that the fire "was not unintentional. They were burning something in the fireplace." Given the current tensions between Russia and the U.S., it's not surprising that this might happen.